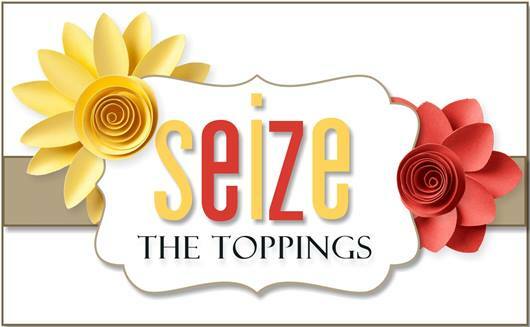 Hello Friends, It’s time for a new Seize the Birthday challenge, and our topping this time around is to use Red and White on your card and or project. Because of pure exhaustion this week and the kids being a little off their rocker, I needed to make a CAS card. I also have some birthday’s coming up at the end of the month, and I needed to get started on pronto. I literally have 5 cards to my name in my emergency stash and that is way to low! 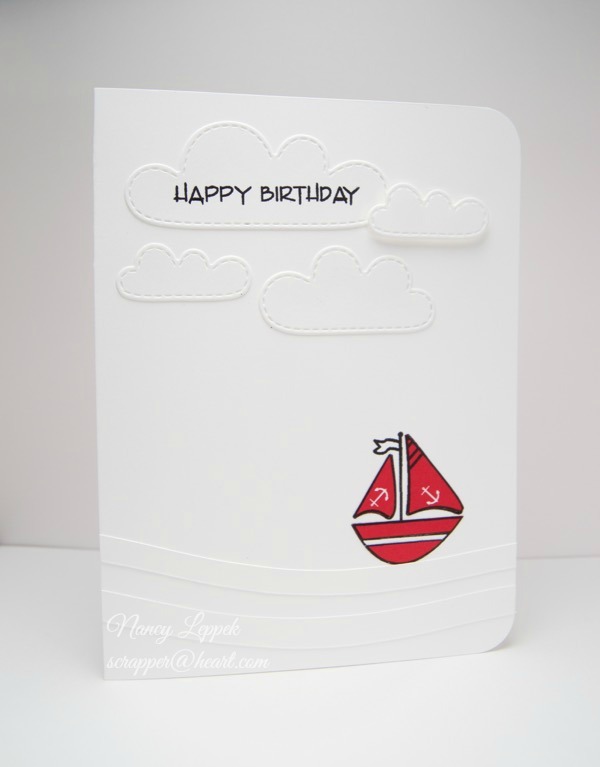 The card needs little explaining….the stamps are from Verve, the boat is paper pieced with SU- nautical DP and the clouds are a die from Lawn Fawn. I cut my waves out using my old creative memories cutting template…love that thing! Oh by the way…my team and Surprise Guest Tanja did an incredible job this week! Come and check it out! Categories: Cards | Tags: Card making, Cards, rubber stamps, stamping, Verve Stamps | Permalink. So cute. Love that red boat. Not your usual fare, Nancy, but I love that you made a CAS card. It’s darling. I don’t mind saying that it’s nice to see a birthday card right about now! I love the CAS beauty of this. The waves and cloudy sky are fun details! Nancy, this is too cute for words. Love, love, love it! There, three loves. Love the simplicity of this card Nancy. This is perfect – the red sail boat is so striking. Love it!